What do you do when your words are stolen? A while back I emailed a recipe to someone and the next thing I knew it was published on their blog as original content. I have no proof the recipe is mine but it was not the first instance. The first instance I know of is a recipe from my recipe book being claimed as being original to not 1, but 2 other bloggers. I used to tweet what I was making with the hash tag #InMyKitchen but found that my original ideas were popping up on other blogs. Recipes I created in December are only appearing on my blog now so ‘borrowing’ my ideas is easy for people who don’t plan so far in advance. But, what upsets me more is when my words are taken and claimed as being someone’s own. I have a unique style of writing and I sent an email to someone a year ago and have just read my own words in a published format attributed to the person I sent them to. It’s upsetting that someone is being paid for content I have created. I always attribute my inspiration for recipes when I’ve been urged to make something. 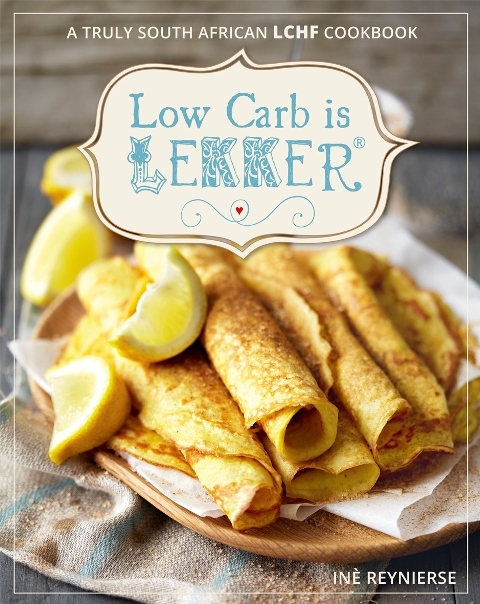 In this instance the recipe for BBQ pork ribs comes from Low Carb Is Lekker which I was sent to review. I hope anyone reading this pays mind to thanking others when the content they publish is not their own! If you don't have ground cloves, place 10mls whole cloves into a spice grinder and you will get 5mls ground cloves. If there is any left over, store in a sterilized glass bottle in the fridge for a week, or in the freezer. Defrost in the fridge. Remember to pour out what you need into a separate bowl to prevent cross contamination. That’s terrible Tandy! It happens to me too and I can’t comprehend how someone can do it and not know how horrible it is. These ribs look fantastic though! I think some people are oblivious to how they can hurt others! Now this BBQ ribs look awesome! You know how much I love a good rib recipe Tandy :). I wish I had some right now. I am so loving this post. Good for you for sending an email. I hope it has some impact! 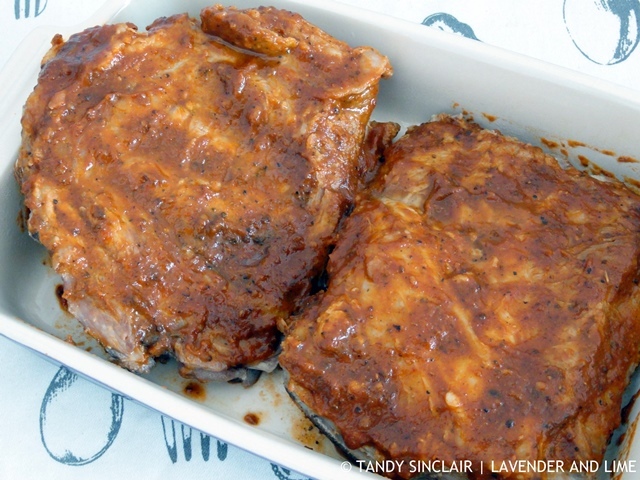 Oh goodness, I’m licking my lips just looking at these bbq ribs! How tasty! I hope you enjoy the ribs! Oh… such a comfort food! I’m mouthwatering do bad !Love these pork ribs! Lovely recipe for ribs, Tandy. I am with you… while I feel flattered when people reblog my recipes, I don’t like it when they use my words and writing style. I just could not understand why they did it! Despite your circumstances, your ribs look finger looking good and delicious. I am sorry this has happened and I am sure it happens to me frequently but I can’t be dealing with all the track backs. How did you find the problem? It just happens that the ones I know about are blogs etc. that I read. I don’t follow all of the trackbacks either. Mmmm – delicious and definitely comfort food weather here too – -2C outside this morning! 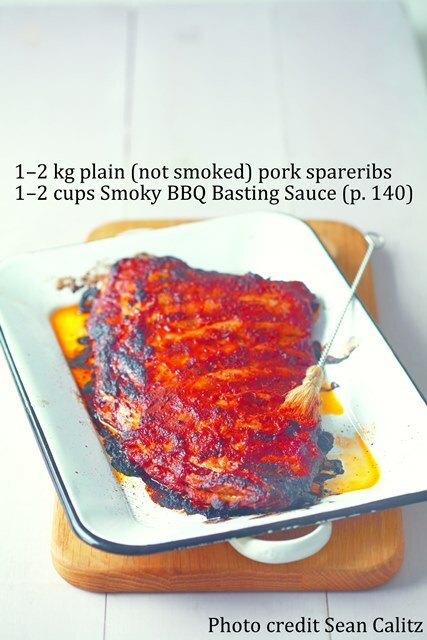 Got some ribs in the freezer this looks like a great way to use them – thanks Tandy. Oh my, that is so cold Rachel! It was a betrayal indeed Krista, but at least I have seen it. Oh that just isn’t cool, sorry to hear you shared your recipe only to be taken advantage of. I just dont understand that, how hard is it to credit, if anything, it is worthwhile crediting, linking back. Gah!! !